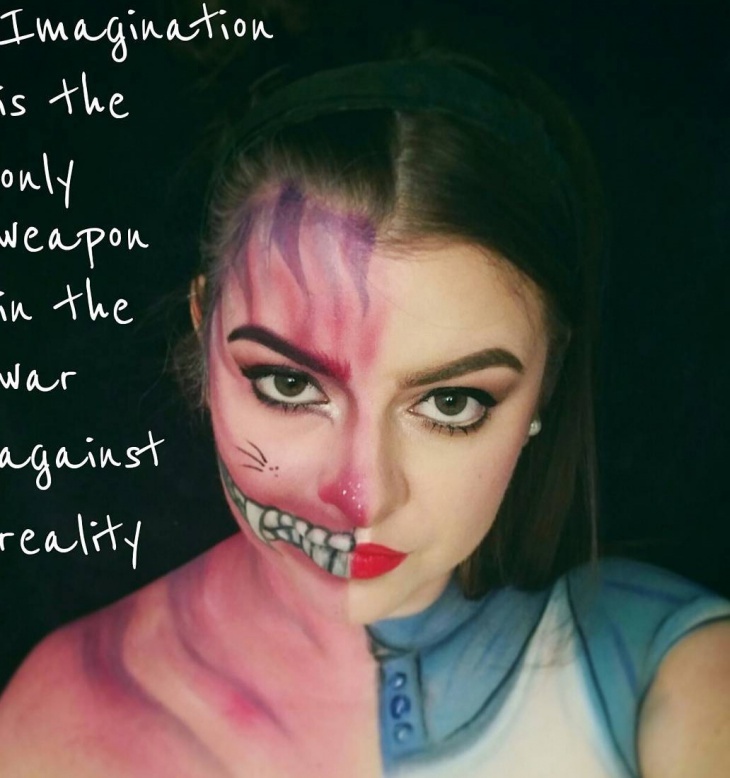 One of the best fantasy novels ever, you can try on many thematic Alice in the wonderland makeup ideas. It could just be that dramatic eyeshadow in blue with a butterfly motif to surround it, or the lipstick, or even the hairdo! You can try this theme for Halloween instead of something gothic! This makeup is purely magical! 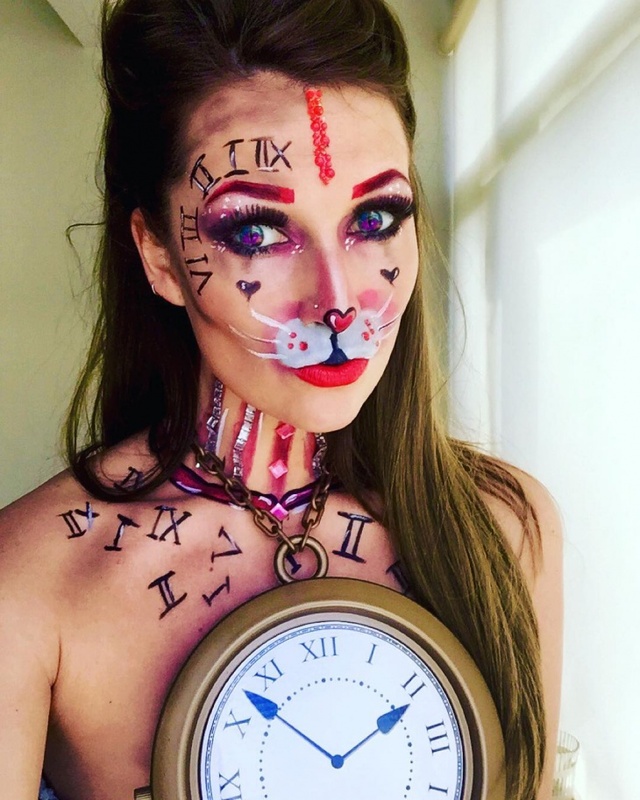 You don’t have to go down the rabbit hole to take a peek into this fantasy makeup art. 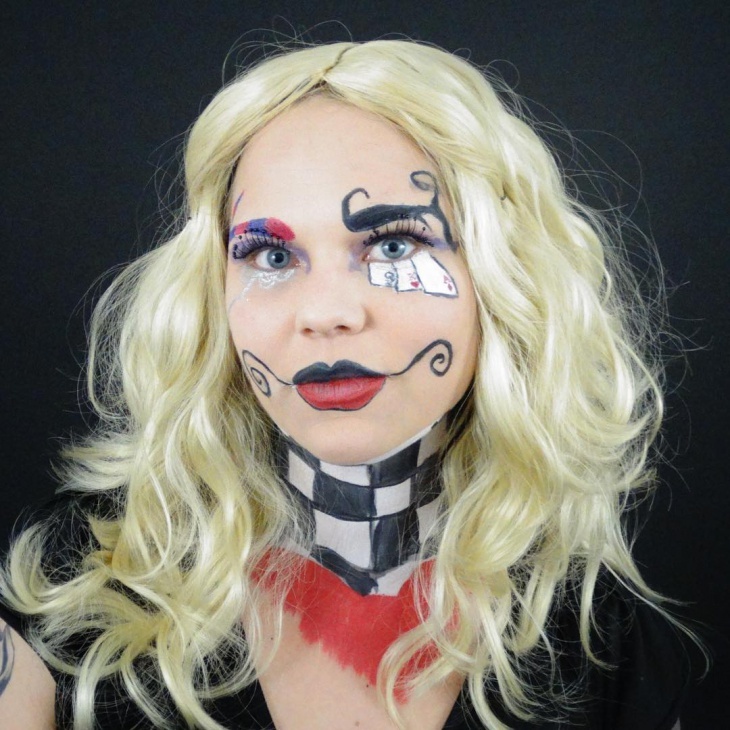 You can also classify this theme as a doll makeup design. 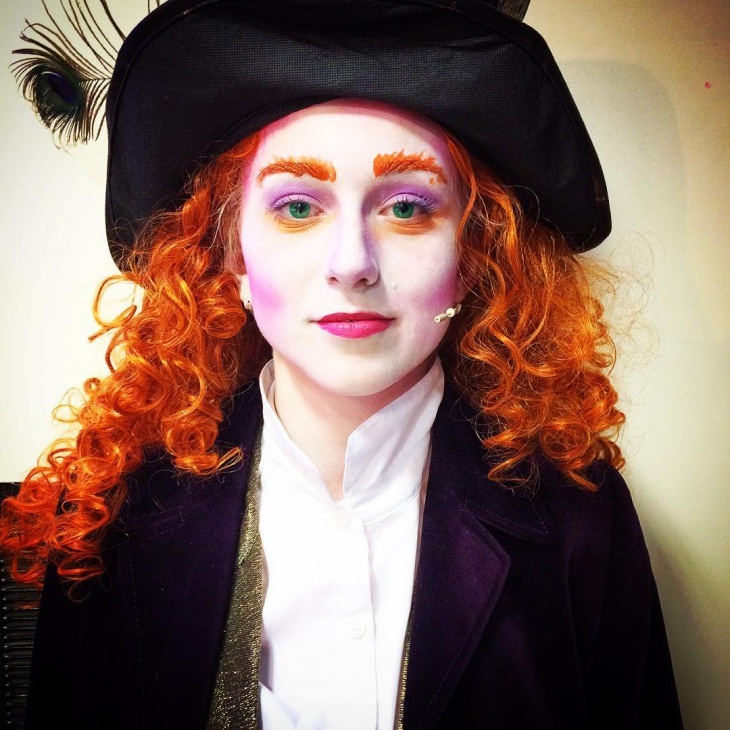 Try this Disney makeup theme for a costume party. You can apply a dark shade of eyebrow pencil much above one of the eyebrows and apply a turquoise color creamy eye shadow below this eyelid. You can apply a white eyeshadow to the other eyelid and give this a dramatic look. This is a dramatic makeup of this Disney theme. 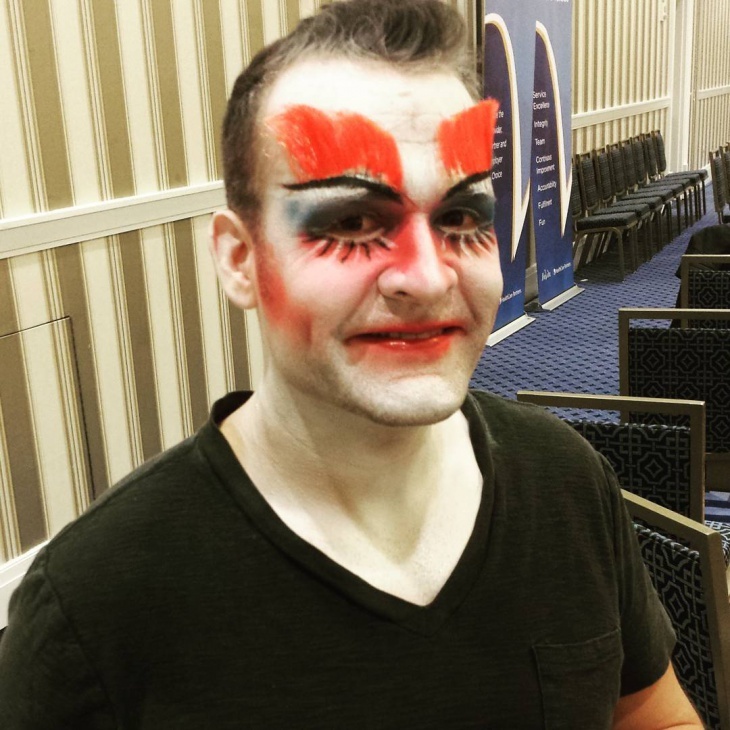 The entire face is painted in hot pink, and eyebrows are made dramatic. The lips are painted beyond their visage and shark teeth are painted onto them. 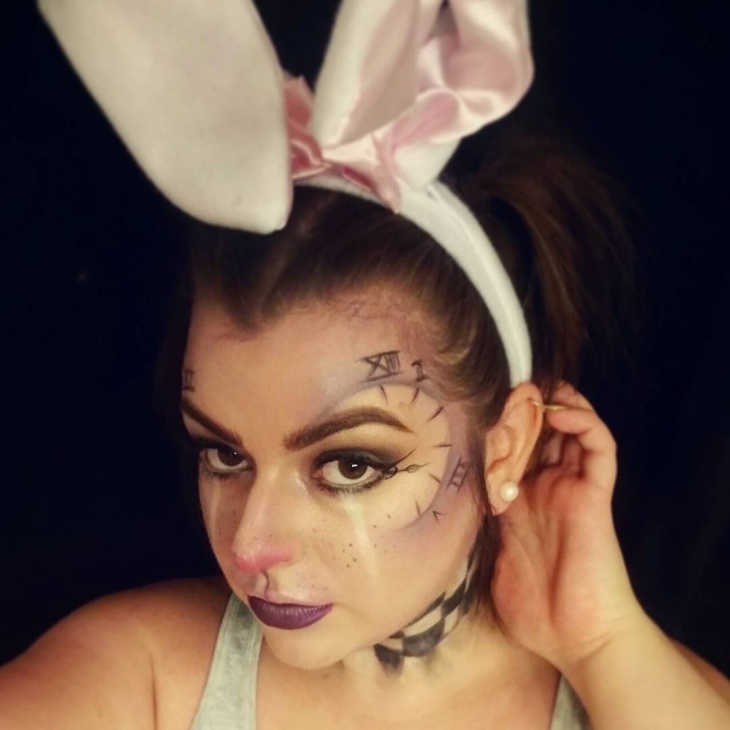 A unique theme for Halloween makeup! 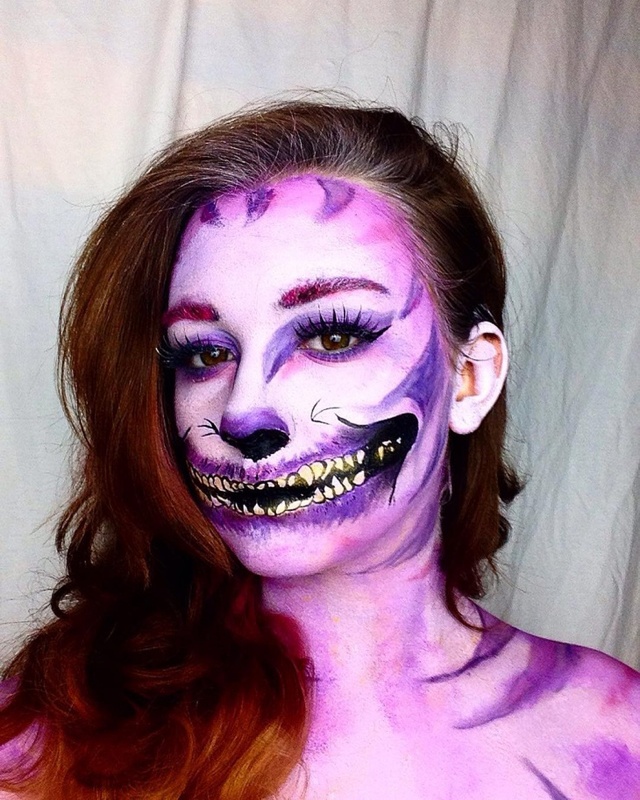 Along with the cat eye, eyeliner, the lips are also painted in the shape of a fantasy cat. 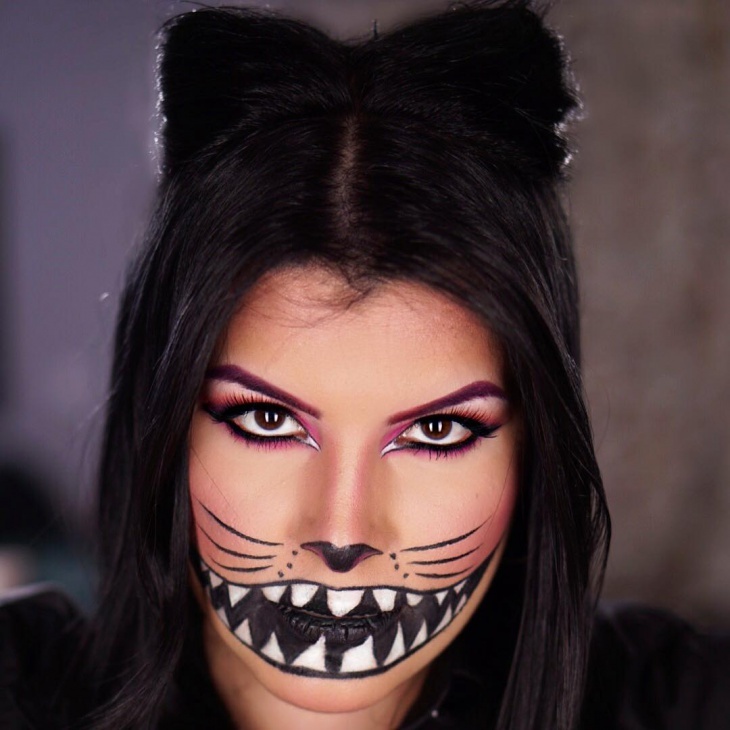 The lips are in a dark black shade with white pointy teeth of the fantasy cat. They are painted beyond the dimensions of the lips. This is a scary corpse bride make up. 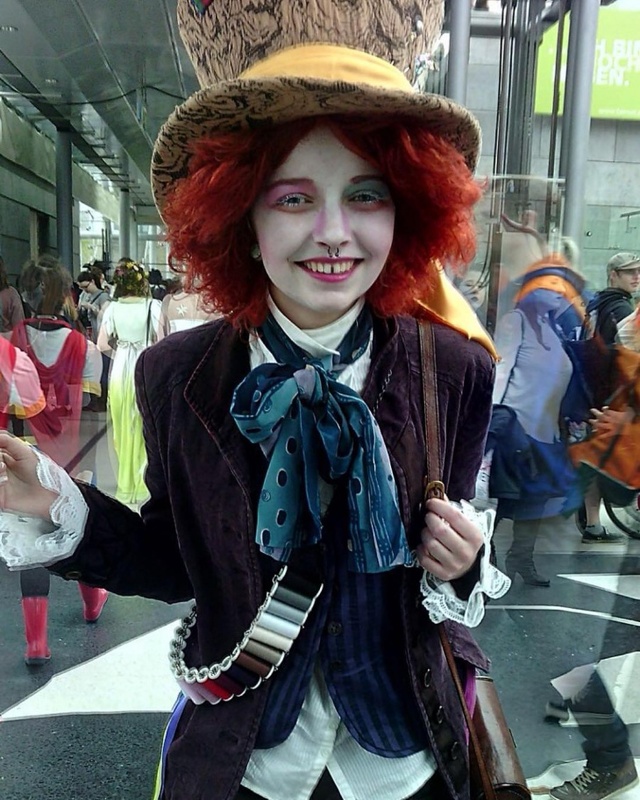 The character, queen of hearts make up theme can also be used for a costume event. 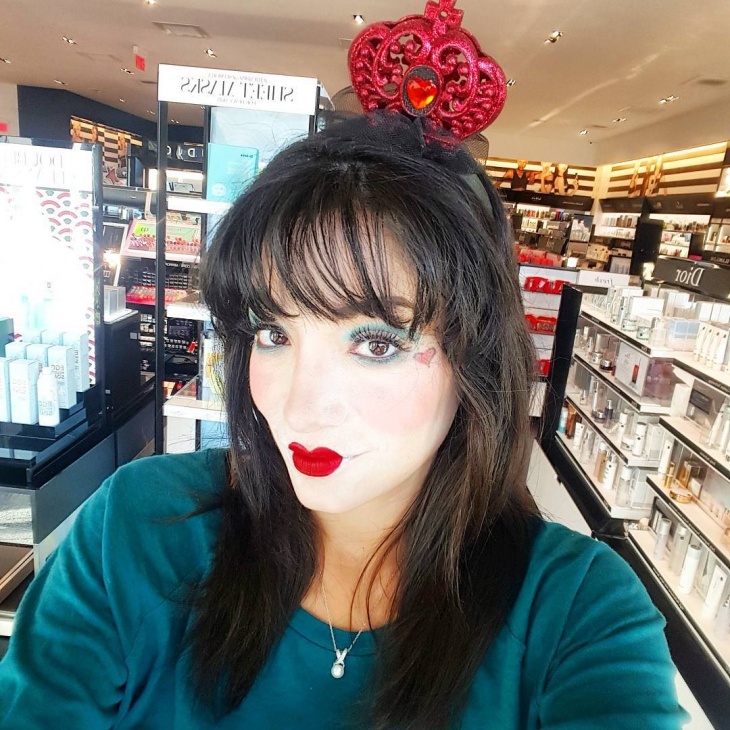 It has lips painted in dark red in the shape of a heart and ghost white face foundation. On the temples of the head are painted tiny hearts in red color. 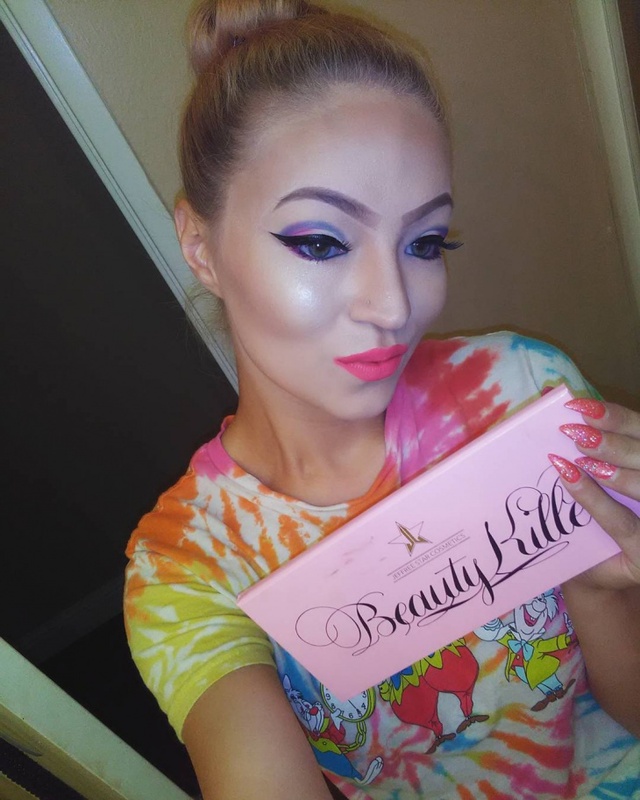 This is the most ostentatious makeup theme you can think of. The neck is painted on a checkered board; the eyebrows are painted in dramatic swirls, with three play cards painted beneath the eyes. 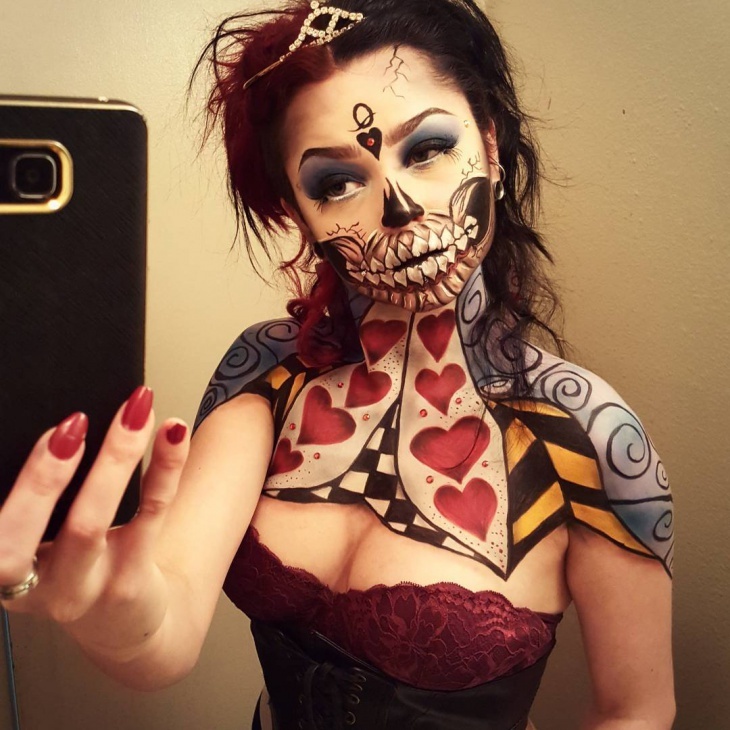 This is a creative makeup art in gothic theme. 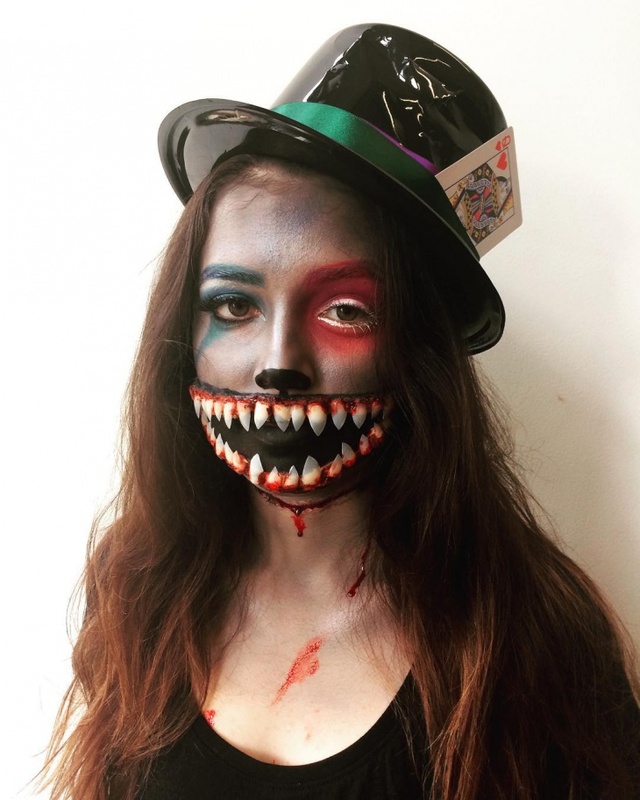 Yet another scary makeup gothic theme with dramatic lips painted in shark teeth and bleeding gums motif. 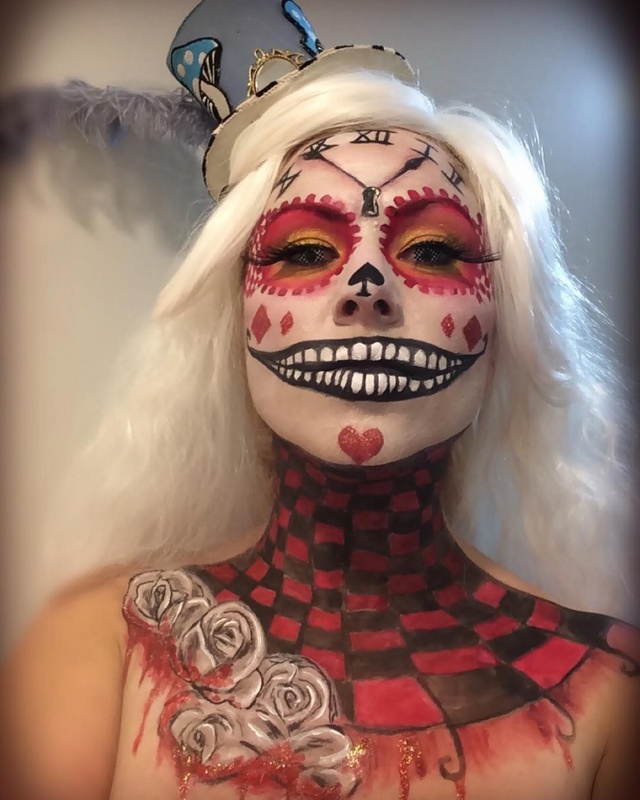 This is a perfect makeup theme for Halloween if you want to stay true to this festival. 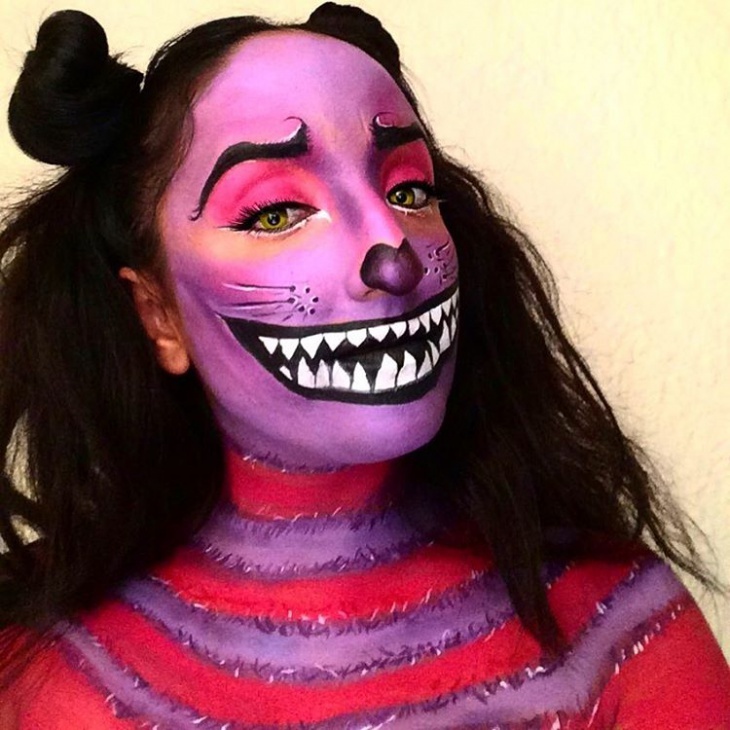 This is a Chester Cat makeup theme from Alice in the Wonderland story. 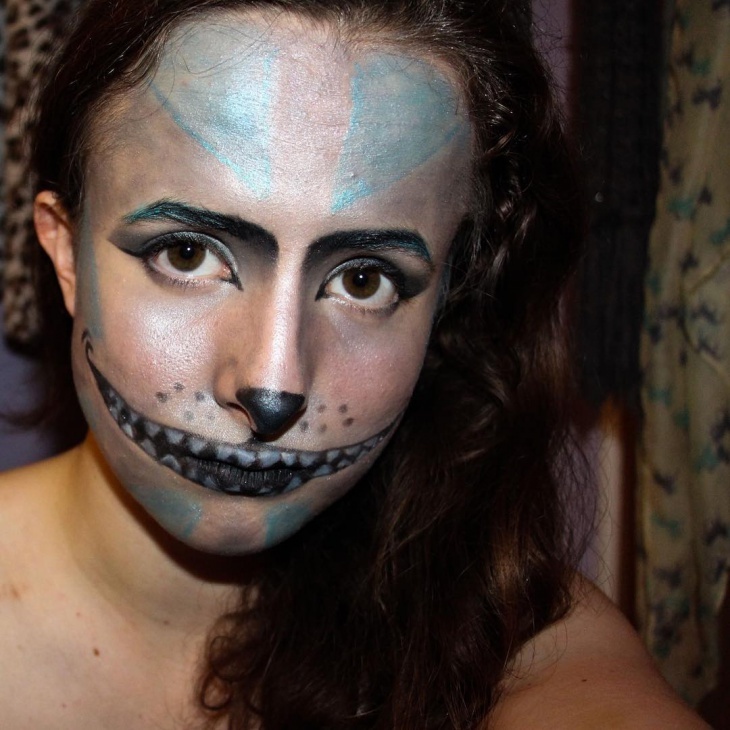 This is an elaborate makeup theme of the Chester cat and the Queen of hearts from the Alice in the Wonderland story. It suits anyone with a fair skin because there are too many motifs and colors that are painted on the visage. 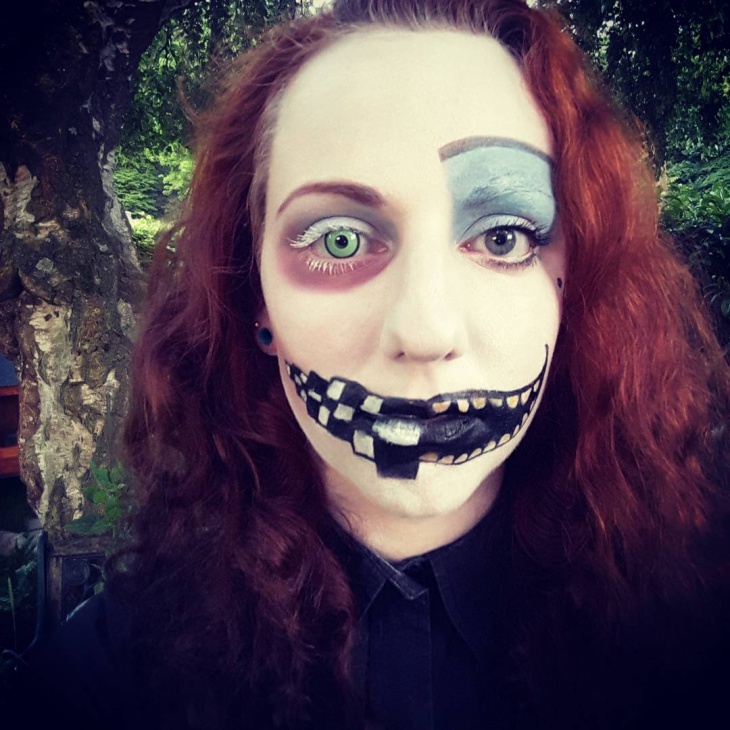 A most dramatic and a scary makeup a woman can apply for Halloween. The Chester cat meets a glaring eye makeup. 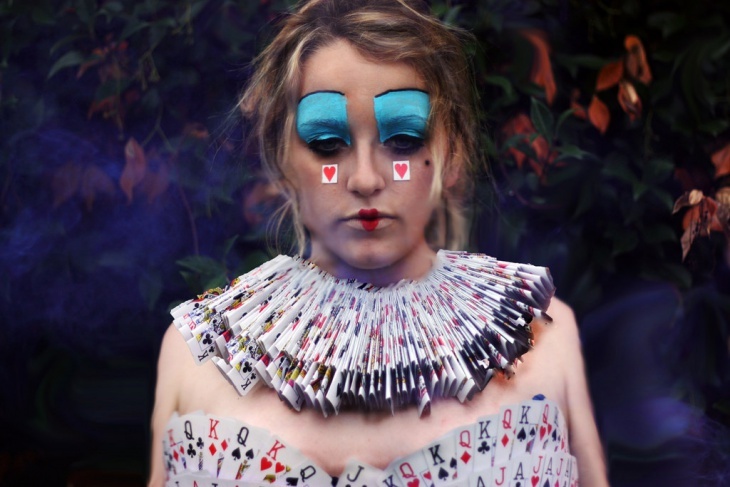 The theme of queen of hearts is also used with diamonds and hearts from the spade of cards painted on the face. A gothic themed faux contact lens can be used. 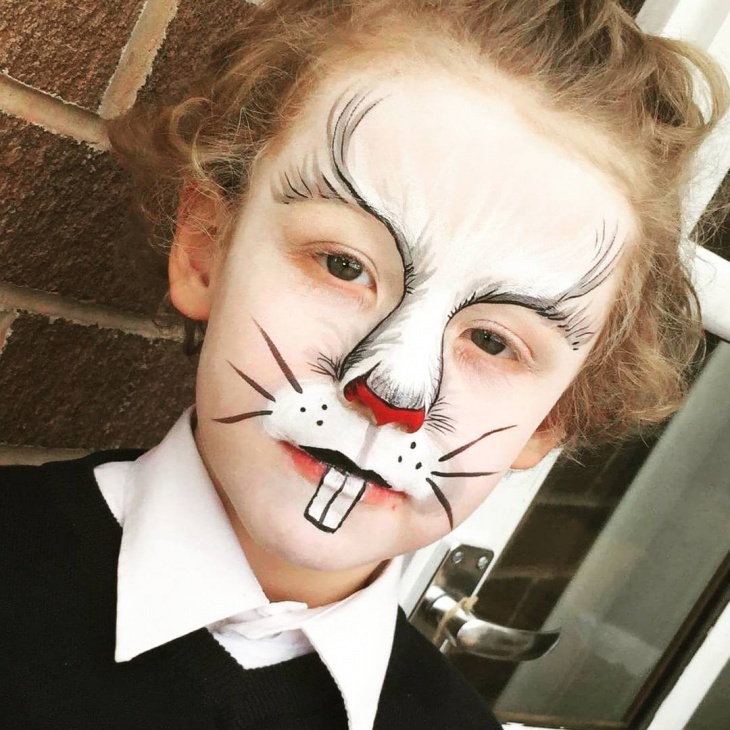 Halloween makeup takes hours to apply. 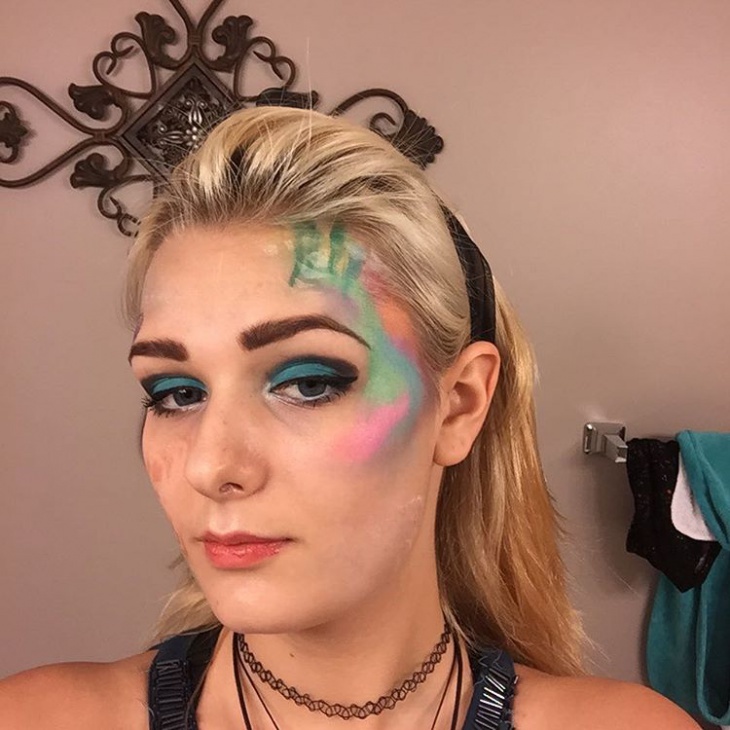 You need to have a theme in your mind before starting this makeup art. You can get as creative as possible whist keep the theme in mind. You don’t have to imbue the same makeup as this Disney movie. You could only pick a few elements and try a new theme.